Beavers Piano introduces the Kingsbury vertical piano! 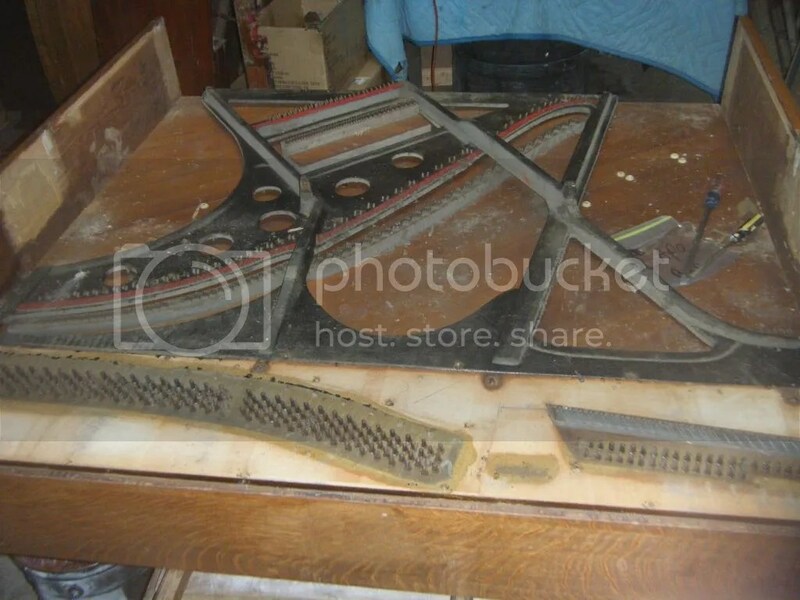 This piano will be receive a full restoration and will be completely disassembled. We will be adding new strings (both bass and treble) and will carry out a extensive sound board and bridge repair. Currently, this piano has a tiger oak color in which you can notice the flakes in the veneer. The owner requested for this piano to be a color that is more of a reddish-brown. This particular piano has an open face pin block which is a dead giveaway that its an old instrument. A plethora of work will be issued as the transformation takes place. The owner desires to keep the original plate finish, therefore, even though the soundboard will be restored and refinished, the plate will not be re-gilded with new gold and will maintain the original gold finish with the artwork and two tone black on it. 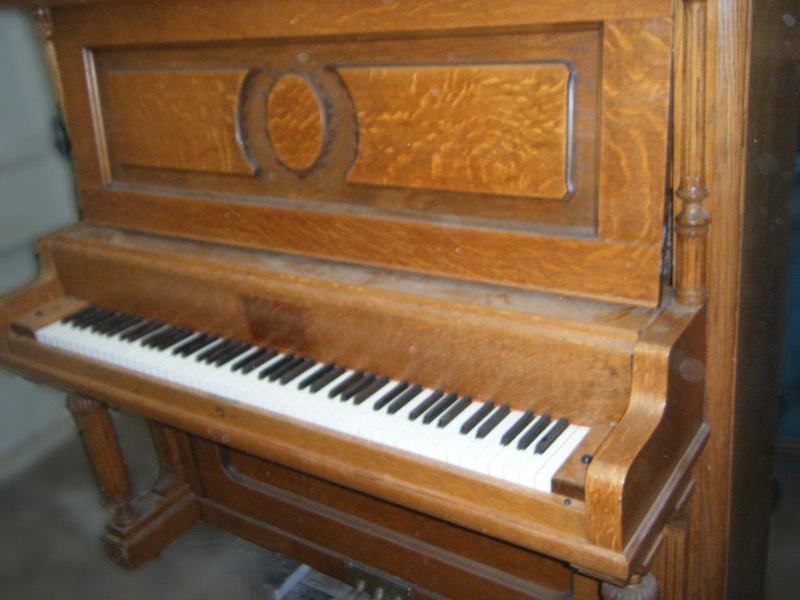 This old Kingsbury is made by Cabel Piano Company. This is one of Cabel’s middle line piano. In order, they had regular Cabels pianos, then they began to manufacture the Kingsbury and Conover which was the elite line of pianos. Within the above video, I will go into detail about the soundboard, its horrible condition, and the process it will need to go through to have a big transformation. Heres another video featuring the Kingsbury Soundboard!